Below you fill find all funeral homes and cemeteries in or near Woodsfield. Woodsfield is also known as: Monroe County / Woodsfield village. Their current mayor is Mayor William Bolon. Zip codes in the city: 43793. Some of the notable people born here have been: (john w. okey), (mary weddle), (sam v. stewart), (sad sam jones), and (samuel steward). Woodsfield is a village in Monroe County, Ohio, United States. The population was 2,384 at the 2010 census. It is the county seat of Monroe County and houses the Monroe County Courthouse. It was revealed by Star Beacon on June 18th, 2017 that Jonathan G Lundgren died in Woodsfield, Ohio. Lundgren was 43 years old. Send flowers to express your sorrow and honor Jonathan G's life. It was disclosed by Kalamazoo Gazette on March 8th, 2017 that Virginia E "Ginny" Bronson (Campbell) died in Otsego, Michigan. Ms. Bronson was 89 years old and was born in Woodsfield, OH. Send flowers to share your condolences and honor Virginia E "Ginny"'s life. It was written on October 13th, 2013 that Bernadine Cline perished in Woodsfield, Ohio. Cline was 94 years old. Send flowers to express your sorrow and honor Bernadine's life. It was disclosed on October 4th, 2013 that Lillian R Kaldor perished in Woodsfield, Ohio. Kaldor was 97 years old. Send flowers to share your condolences and honor Lillian R's life. It was reported on September 17th, 2013 that Susan B Knowlton passed on in Woodsfield, Ohio. Knowlton was 69 years old. Send flowers to share your condolences and honor Susan B's life. It was written on September 12th, 2013 that Charles Branson Jr Sapp passed away in Woodsfield, Ohio. Sapp was 70 years old. Send flowers to express your sorrow and honor Charles Branson Jr's life. It was disclosed on September 10th, 2013 that Robert Paul Binegar passed on in Woodsfield, Ohio. Binegar was 78 years old. Send flowers to express your sorrow and honor Robert Paul's life. It was revealed by Arizona Republic on March 14th, 2012 that James William Patton perished in Scottsdale, Arizona. Patton was 92 years old and was born in Woodsfield, OH. Send flowers to share your condolences and honor James William's life. It was disclosed on January 24th, 2012 that Evelyn Clutter (Feyk) passed away in Woodsfield, Ohio. Ms. Clutter was 89 years old and was born in Lewiston, MT. Send flowers to share your condolences and honor Evelyn's life. It was noted by Columbus Dispatch on July 26th, 2011 that Robert R Lecrone passed on in Woodsfield, Ohio. Lecrone was 92 years old. Send flowers to share your condolences and honor Robert R's life. The population was 2,598 at the United States Census, 2000 census. 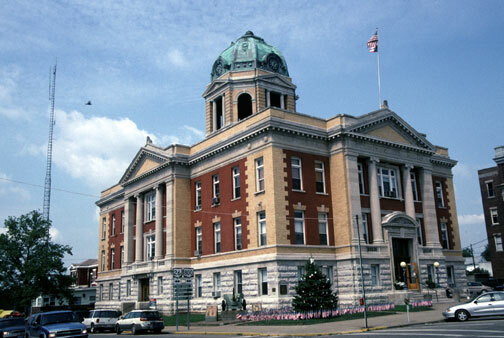 It is the county seat of Monroe County, Ohio County and houses the Monroe County Courthouse (Ohio) County Courthouse. 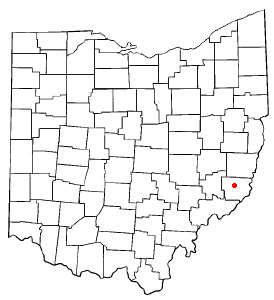 Woodsfield is a village (United States)#Ohio in Monroe County, Ohio County, Ohio, United States. . .
Burial will follow in the Oaklawn Cemetery, Woodsfield. Masonic services will be held at 7:30 p.m. at the funeral home. Memorial contributions may be made to the Monroe Lodge #189, Lewisville Rd., Woodsfield, OH 43793. Watters Funeral Home, Woodsfield, OH : Reviews and maps - Yahoo! Local, 740.472.1440. Get Ratings, Reviews, Photos and more on Yahoo! Local. Listing all funeral homes in Woodsfield, Ohio so you can easily send flowers to any location (same day delivery) or find any funeral service. We work with local florists and flower shops to offer same day delivery. You will find budget sympathy flowers in Woodsfield here. Our funeral flowers are cheap in price but not in value.